With the announcement by that it will launch its first foldable smartphone speculation grows as to the release date, now Mar’19. The flagship Galaxy S10 smartphone is expected to be released in February, followed by the presumed foldable Galaxy F and another edition of the Galaxy S10 that runs on the 5G network in March. Samsung is expected to showcase the upcoming foldable smartphone in the Mobile World Congress in February, ahead of the official launch in the following month. 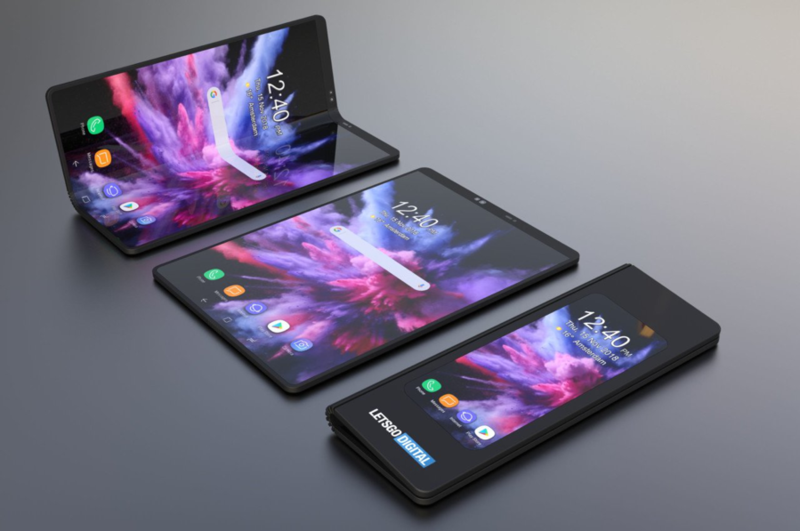 The much-awaited foldable smartphone, however, is not expected to support the 5G networks. While the price of the foldable smartphone has not been announced, reports indicate it would cost around 2 million won (US$1,770). The inward folding device will sport a 7.4-inch screen when unfolded and have a 4.6-inch display for use when the larger display is folded. It seems unlikely that Samsung will use any of the notched displays, no matter how small the notch is, after all of the company’s ads ridiculing Apple’s iPhone X notch. 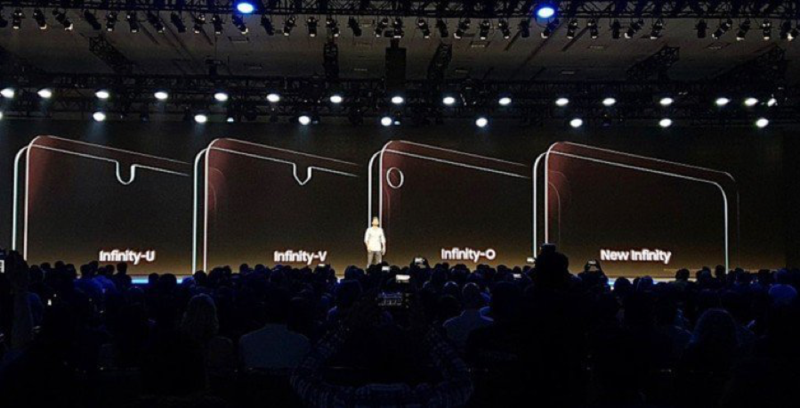 Instead, the phone may have a hole on it — which is marginally better than the notch, leaving the S10 using the Infinity-O display. With the onset of foldable displays, we’ll soon have more screen real estate to have more than one app open at a time. As it stands, some devices already support a form of multi-tasking. However, while multi-tasking on these devices, only the app you’re actively using will run with all others are paused. Each app handles this in its own way, some continuing to work as normal, and others coming to a full halt. To help prepare for the foldable future, Android Pie added an optional system called multi-resume, which allows devices to let all visible apps run simultaneously without being paused. While this feature is being presented with a focus on foldable displays, this new multi-resume will be very handy on tablets, or larger phones like those in the Galaxy Note series. Developers can enable this feature for their app right away, with as little as one line of code. Unfortunately, no devices with Android Pie have enabled the multi-resume system yet, meaning there’s no way to test it out. Google has promised that device manufacturers are working on updating their devices accordingly, and that they will seek to improve compatibility in the next version of Android. Beyond Android devices, multi-resume could also potentially be useful for Chrome OS’ Android app support. Currently, as soon as you interact with something outside of an open Android app’s window, that app becomes paused. Perhaps with multi-resume, Chrome OS could also get legitimate Android multi-tasking. This will, of course, first require Chrome OS to update to Android Pie, but we know this should happen in an upcoming update. 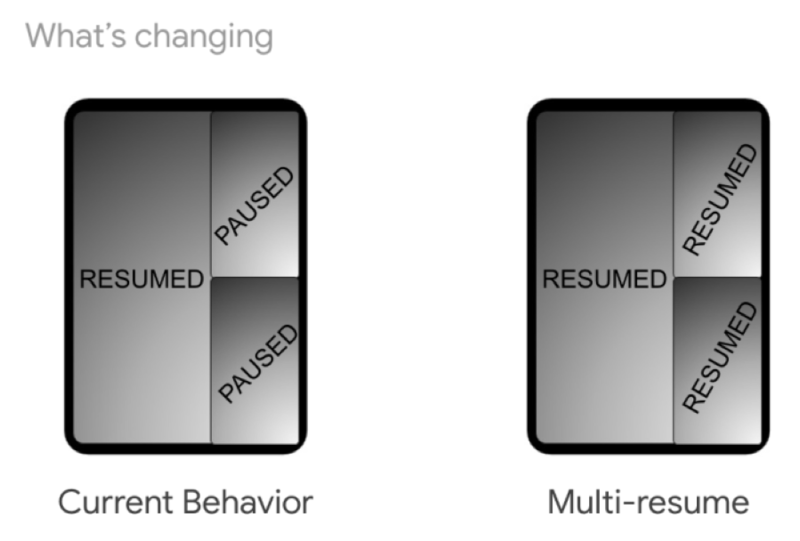 While Google has now done their part to make Android a more multi-tasking friendly operating system, it’s important to remember that the responsibility for enabling multi-resume falls on developers and OEMs. If developers do not want their app to be used with multi-tasking, they can simply disallow it. OEMs will also need to update their devices for both users and developers to have multi-resume. And we all know how swift companies are to update their existing devices. ​Samsung has unveiled the W2019, a high-end flip phone that is packed with flagship-level specifications such as 6GB of RAM and Qualcomm’s Snapdragon 845. Samsungannouncedthe smartphone at a launch event in China, according to GizmoChina. The W2019 is the successor to last year’s W2018, which was powered by the Snapdragon 835. In addition to the upgraded processor, the Samsung W2019includes new features such as dual rear cameras and a side-mounted fingerprint scanner. The Samsung W2019 has a 4.2-inch external AMOLED display with Full HD resolution, and a 4.2-inch internal S-AMOLED display that also supports Full HD. The flip phone is offered in two colors, Rose Gold and Platinum, with a 3,070 mAh battery and Android 8.1 Oreo pre-installed. The Samsung W2019 also follows the trend of the removal of the 3.5mm headphone jack. The W2019’s 6GB of RAM, maintained from the W2018, is supported by internal storage options of 128GB and 256GB. The back of the smartphone contains a dual camera setup of a pair of 12 MP lenses, with the primary camera offering variable aperture from f/1.5 to f/2.4, optical image stabilization, 2x optical zoom, 4K video recording at 60 frames per second, and 1080p slow motion recording at 960 fps. 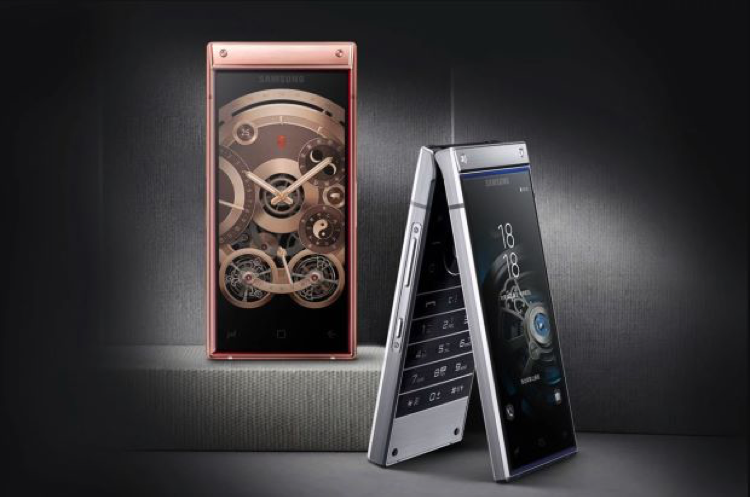 Samsung has provided exclusive concierge services for its W series of flip phones, and this continues with the W2019. 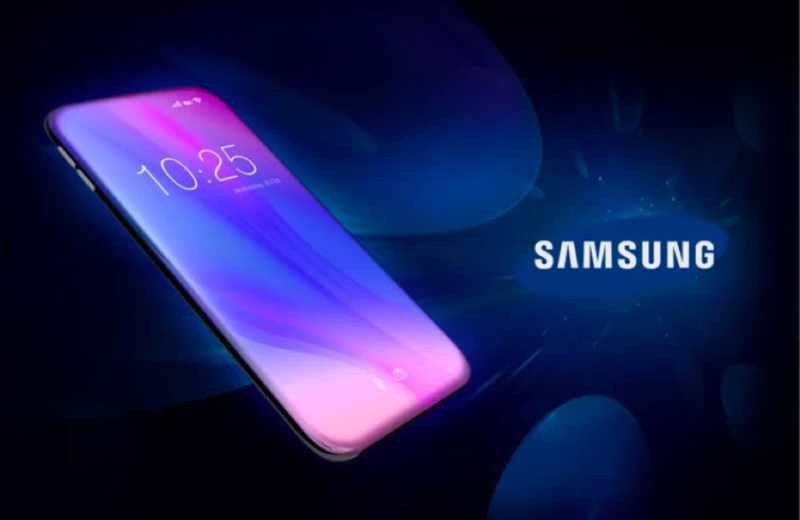 Owners of the smartphone will be able to enjoy free software fixes, phone disinfection, and an exclusive hotline.The Samsung W2019 will only be officially sold in China through the carrier China Unicom. This might be good news for customers in the United States who are interested in the smartphone, as it will come with a starting price of 18,999 Yuan, which is equivalent to a whopping $2,700.